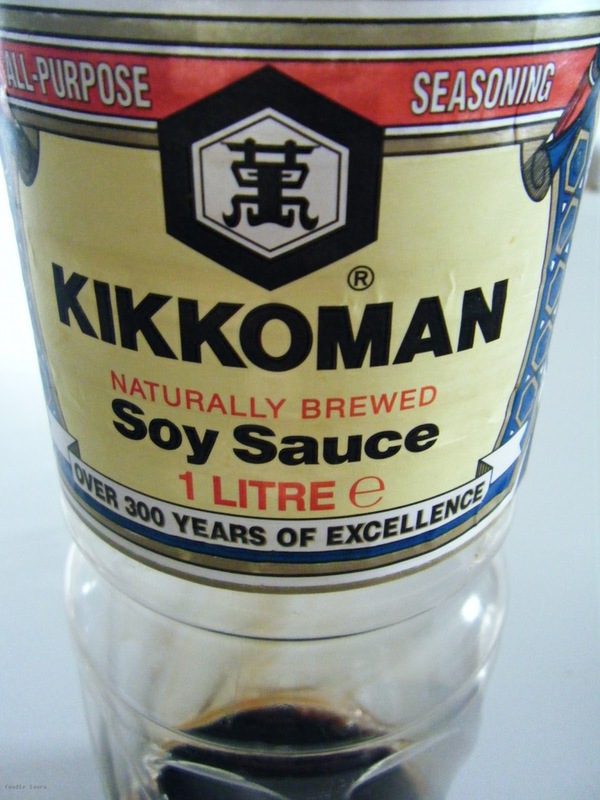 I use a great deal of soy when cooking, I like the style of the little Kikkoman bottles but they just wouldn't last for long enough in this house, I buy litre bottles of Kikkoman from the local Asian grocery. After living in Japan my cooking is quite often influenced by Asian flavours, this is also the reason for going through so much soy but Kikkoman have set a challenge to create a non Asian dish incorporating their soy sauce. Well, it just so happens that I have one, a great one - spicy shredded bacon salad. I used a bacon joint for this salad, they are usually already quite salty so it's not a dish you would expect to see salt added to but soy is more than just salt it gives a depth flavour and rich colour to the marinate as well. 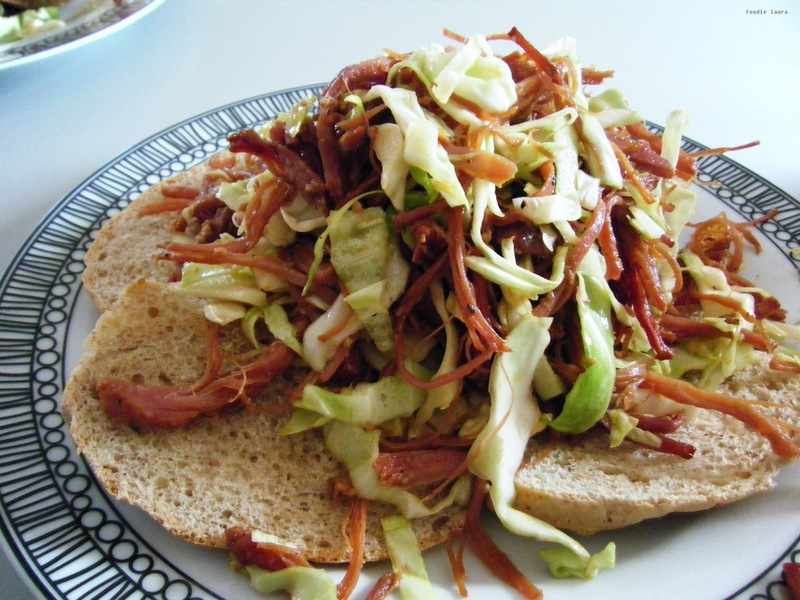 In this spicy shredded pork dish the saltiness is balanced out with a good bit of spice and crisp shredded cabbage. 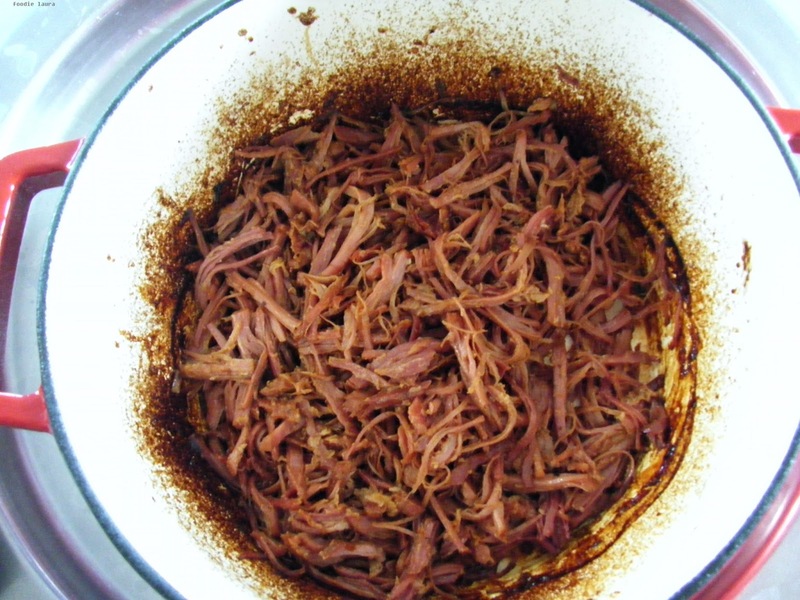 This dish is cooked for 3 hours in a heavy cast iron pot, the fat melts away and the meat is so tender it falls apart with a light prod of the fork. Rinse the bacon joint with cold water and remove some of the larger pieces of excess fat. 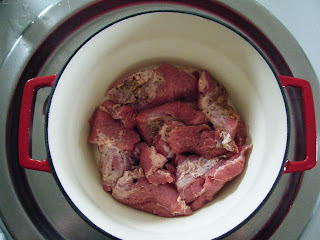 While the fat does melt down into the marinate you are still eating it, a little fat is good for flavouring, a lot of it is unnecessary which is why I like to trim some off. Rub the bacon joint with the dry ingredients and place them on the bottom of the cast iron pan. Combine the rest of the marinade ingredients together before pouring them over the meat. Cook in the oven with the lid on for 3 hours at 175c. 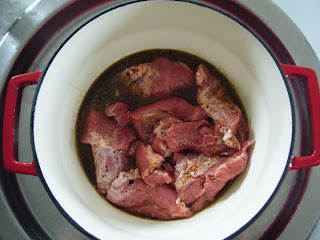 Stir the pork half way through the cooking time, it may already be starting to break up and you want to coat all the surfaces with the marinate. When the pork is ready all the marinate will have been absorbed and all that will remain is a slight sticky coating on the meat. 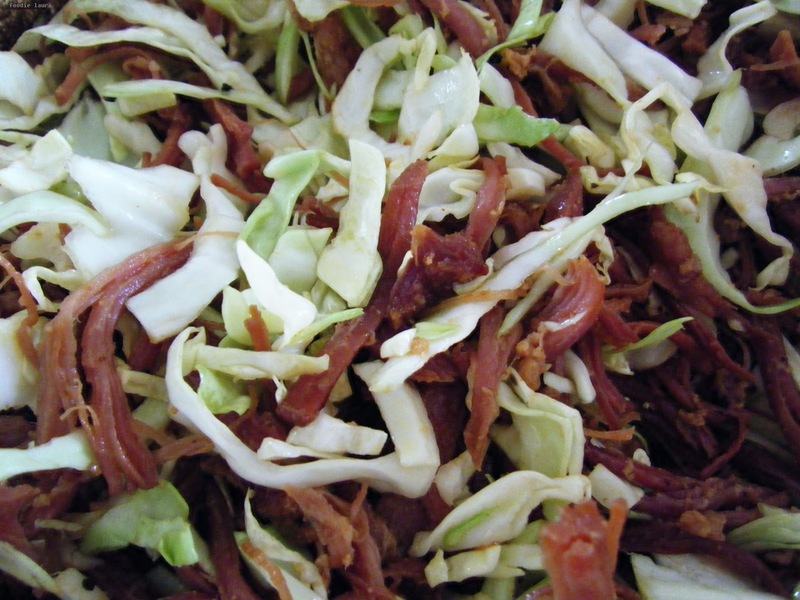 Chop the cabbage into fine strips and mix it into the hot pork before serving, the fresh clean cold crunch works really well with the spicy shredded bacon. I like to serve this spicy shredded bacon and cabbage salad on open top sandwiches with some creamy mayonnaise. 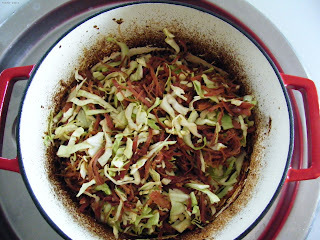 If you have left overs the bacon and cabbage go really well with noodles the next day too.